ANKARA/BEIRUT (Reuters) – Turkey seeks to avoid any clash with U.S., Russian or Syrian forces but will take any steps needed for its security, a Turkish minister said on Tuesday, the fourth day of its air and ground offensive against Kurdish forces in northwest Syria. The United States and Russia both have military forces in Syria and have urged Turkey to show restraint in its campaign, named Operation Olive Branch, to crush the U.S.-backed Kurdish YPG in the Afrin region on Turkey’s southern border. The operation has opened a new front in Syria’s multi-sided civil war and could threaten U.S. plans to stabilize and rebuild a large area of northeast Syria – beyond President Bashar al-Assad’s control – where the United States helped a force dominated by the YPG to drive out Islamic State fighters. Turkish Foreign Minister Mevlut Cavusoglu reiterated Ankara’s demand that Washington stop supporting the YPG, and said President Tayyip Erdogan would discuss the issue by telephone on Wednesday with U.S. President Donald Trump. Ankara has said the operation will be swift, but Erdogan’s spokesman signaled an open-ended cross-border campaign, saying it would end only when some 3.5 million Syrian refugees now living in Turkey could safely return home. Turkey’s military, the second largest in NATO, conducted air strikes and artillery barrages against targets in Afrin, and its soldiers and allied Syrian rebels tried to push into the Kurdish-held district from west, north and eastern flanks. Erdogan told French President Emmanuel Macron on Tuesday Turkey was taking all measures to prevent civilian casualties in the Afrin operation, sources at the presidential palace said. The two leaders agreed to stay in close contact on the issue. U.S. Defense Secretary Jim Mattis said Turkey’s offensive was distracting from efforts to defeat Islamic State. “Terrorists in Manbij are constantly firing provocation shots. If the United States doesn’t stop this, we will stop it,” Cavusoglu was reported as saying on Tuesday. “Our goal is not to clash with Russians, the Syrian regime or the United States, it is to battle the terrorist organization,” broadcaster Haberturk quoted him as saying. “I must take whatever step I have to. If not, our future as a country is in jeopardy tomorrow… We will not live with fear and threats,” Cavusoglu said. He tweeted that a lieutenant had become the second Turkish soldier to be killed in the operation. The Observatory said 43 rebel fighters fighting alongside the Turks had also been killed, as well as 38 on the Kurdish side. Later on Tuesday Cavusoglu discussed the crisis with U.S. Secretary of State Rex Tillerson during a conference in Paris. Erdogan’s spokesman, Ibrahim Kalin, said the military operations would continue until Syrian refugees in Turkey “return home safely and the separatist terror organization has been cleansed from the region”. The Kurdish-led administration of northeastern Syria appealed for a mass mobilization in defense of Afrin. “We call on all our people to defend Afrin and its pride, and contribute in all the related activities,” it said, without elaborating. Washington’s central goal in the region is to prevent Turkey from driving Syrian Democratic Forces (SDF), the U.S.-backed umbrella group that is dominated by the YPG, out of Manbij, U.S. officials say. Unlike Afrin, where no U.S. forces are stationed, there are some 2,000 U.S. military personnel deployed in the eastern region of Manbij, which extends for 400 km (250 miles) along Turkey’s border. “The future of our relations depends on the step the United States will take next,” Cavusoglu said. NATO joined the chorus of calls for Turkish restraint. “From NATO’s perspective, we want to say that the reaction (Turkey’s military operation) should be proportionate and in a limited time and area,” NATO Deputy Secretary General Rose Gottemoeller told Turkey’s NTV channel during a visit to Ankara. A young Masoud Barzani fighting with the Kurdish peshmerga. Photo: File. For the last forty-seven years, Jamil “Jimmy” Ezra has marked a special, deeply private anniversary on September 1 with a ray of hope in his heart. For it was on that day in 1970 that Ezra – accompanied by his brother and sister – drove in a jeep to the Iraqi border with Iran with Kurdish leader Masoud Barzani and his assistant at the wheel. Ezra and his siblings were among more than 2,000 Iraqi Jews who were helped by Kurdish Peshmerga to escape from the Ba’athist regime during the 1970s. These were dark days in Iraq, where the remnant of a Jewish community that had only recently numbered 150,000 was convulsed with fear following the public hanging in Baghdad in 1969 of 14 people, nine of them Jews, on trumped-up charges of spying for Israel. Ezra remembers the time with the same deep emotion that grounds his present fears about what the future now holds for his Kurdish rescuers. “My heart breaks for the 30 million Kurds, divided between Iraq and Turkey, Syria and Iran, and abused and suffering,” Ezra told The Algemeiner on Monday. Ezra will be speaking about his experiences with Masoud Barzani – son of the legendary Mullah Mustafa Barzani and, until last week, the president of the Kurdistan Regional Government (KRG) – at downtown Manhattan’s prestigious Center for Jewish History on Tuesday night, during a special two-part series on the Kurds sponsored by the American Sephardi Federation. It is a story that began when Ezra was a boy of 17 in Baghdad, living with his aunt and uncle, and still grieving from the sudden death of his father from a heart attack on the very same day in July 1968 that Saddam Hussein and his Ba’athist comrades seized power. The next morning, Barzani’s aides hatched a plan that involved Ezra and another Jewish family returning to Baghdad to collect their relatives, after which they would travel to a meeting point back in northern Iraq. “That was on Monday; on the Thursday, back in Baghdad, I woke up my brother Farid, who was suffering badly from his trauma in prison, and I told him, ‘Come on, you and me and Gilda are going on a short vacation,’” he said. Ezra’s thoughts over the last month have been dominated by the fate of the Kurds, whose 93 percent vote in favor of independence in the September 25 referendum resulted in an Iranian-backed onslaught involving Iraqi government forces and the Shia Hashd al-Shaabi paramilitary group. More than 50 percent of the territory liberated from ISIS by the Kurds has been lost, including the historic city of Kirkuk, while Kurdish political leaders have been painted into a corner as they try to maintain as much autonomy from Baghdad as feasible. Ezra wants American Jews to urge their legislators to protect the Kurds, a long-standing American ally. “What happened to the Jews could still happen to them,” Ezra said, casting an eye on Saddam Hussein’s infamous attempts to obliterate the Kurds with chemical weapons attacks in the late 1980s. For decades, Kurdish politics have hinged on dreams of an independent Kurdish state. When colonial powers drew the map of the Middle East after World War I, the Kurds, who now number around 30 million, were divided among Turkey, Iran, Syria and Iraq. Since the Arab “spring” with its multiple civil wars broke out, the Kurds are the one nation that have managed to remain united and hold on tot their territory, retaking control and a semblance of independence after decades of repression by the Arab countries who previously controlled their territory. 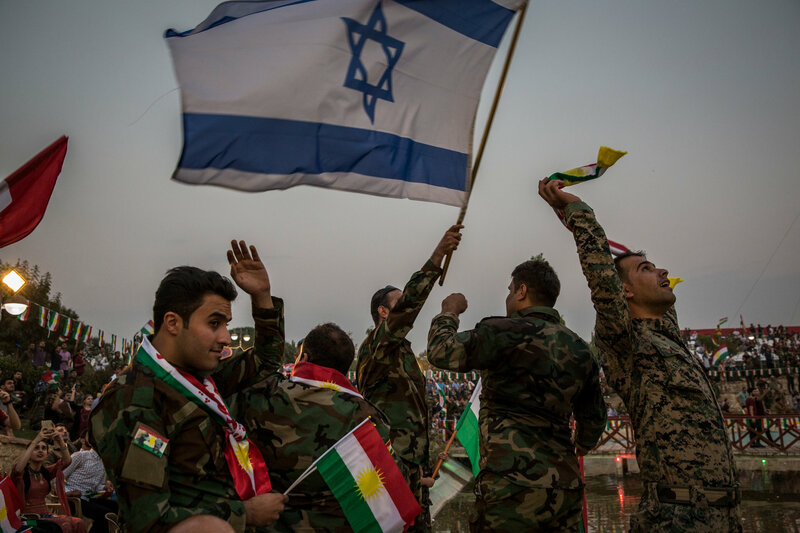 They have been amongst the prime fighters against ISIS and have stayed out of the Israeli-Arab conflict altogether.In fact Israel is very popular with the Kurds and as I have previously written, the Israeli flag is a common sight at Kurdish rallies. Last week the Kurds held a referendum amongst its people asking if they wanted independence. The answer of course was a resounding yes. However the answer from almost the entire world (the UN, the US, Iran, Iraq, Turkey) was a resounding “no”, or a hostile neutral silence. The only country that lent its solid support to the Kurdish nation was Israel. “I will not give up on the unity of Iraq, that is my national and constitutional duty,” he said, adding that any ban would still allow for humanitarian and other “urgent” flights. That’s rich coming from the leader of a country which is so fractured that it barely exists any more. Masoud Barzani, the Kurdish regional president who spearheaded the referendum, called for “dialogue” with Baghdad. “Negotiations are the right path to solve the problems, not threats or the language of force,” he said in a televised address. U.S. Secretary of State Rex Tillerson referred to the recent referendum on the independence of Kurdistan as “unilateral,” saying the vote held on September 25 lacks legitimacy. “The United States does not recognize the Kurdistan Regional Government’s unilateral referendum held on Monday,” Tillerson said in a written statement on Friday (September 29). Tillerson said his country supports a united, federal, democratic and prosperous Iraq. He expressed concern over the possible “negative consequences” of the Kurdish referendum, adding the vote may hinder efforts to promote stability and prosperity for the people of the Kurdistan Region. Tillerson said the U.S. asks all parties, including Iraq’s neighbors, to reject unilateral actions and the use of force. JERUSALEM — With a two-sentence statement supporting the Iraqi Kurds’ plan to hold a referendum on independence this Monday, Prime Minister Benjamin Netanyahu put Israel at odds with nearly every other major player in the Middle East. Mr. Netanyahu, who endorsed not only the referendum but also the establishment of a Kurdish state, had ample strategic reason: A breakaway Kurdistan could prove valuable to Israel against Iran, which has oppressed its own Kurdish population. But given the interwoven history and shared emotion underlying his statement, present-day geopolitics can seem almost beside the point. The Kurds and the Jews, it turns out, go way back. Back past the Babylonian Captivity, in fact: The first Jews in Kurdistan, tradition holds, were among the last tribes of Israel, taken from their land in the eighth century B.C. They liked it there so much that when Cyrus the Great of Persia conquered the Babylonians and let the Jews go back home, many chose instead to stick around. Sixteen centuries later, Saladin, a Kurd, treated the Jews humanely after he conquered Jerusalem, and notably hired a Jewish doctor, Maimonides, as his physician. Read the rest of that fascinating article about the ties between Israel and the Kurds. In the wake of Iranian aggression across the Middle East, the most effective strategy Israel can adopt is to recognize an independent Kurdistan and fully support it. Across the Middle East Israel faces a variety of security threats, from Hezbollah in Lebanon and Assad’s regime in Syria to Hamas in the Gaza Strip and Islamic State (ISIS) in the Sinai Peninsula. These already existing threats are exasperated by Iran seeking to establish a Shi’ite Crescent from the Persian Gulf to the Mediterranean Sea and the Red Sea. To prop up Assad’s regime and Hezbollah, Iran needs territorial contiguity from Iran to Iraq, Syria and Lebanon. This way, it can import supplies with ease to its proxies via land routes, for Israel has already demonstrated that it can infiltrate and stop Iranian sea or air shipments more easily. However, an independent Kurdistan in Syria and Iraq would territorially break up the Shi’ite Crescent, thus making it more difficult for Iran to carry out its terrorist activities across the Middle East. The Kurdistan region of Iraq led by President Masoud Barzani’s government will not permit Iranian shipments to terrorist groups to pass through its territory. If Kurdistan becomes a full-fledged independent state in Northern Iraq and parts of Syria, the logistical obstacles for Iran will greatly increase. It is critical to note that Israel should support an independent Kurdistan because it is the moral thing to do. The Kurds were promised a country in the Treaty of Sevres but this promise was reneged on in the Treaty of Lausanne, leaving the Kurds as the largest nation on earth without a country, a reality that affects 40 million people. The Kurds have their own unique culture, history and language, which are distinct from those of their Turkish, Persian and Arab neighbors. Furthermore, in the past the Kurds had strong leaders who befriended the Jewish People, such as Saladin. In addition, the Kurds ruled themselves in the past, under the Ayyubid dynasty and the Bohtan Emirate, to name a few. In fact, they were only absorbed by the Ottoman Empire in 1908. For this reason, the Kurds have a strong sense of nationalism. The Kurds passionately believe that their culture, language and historic destiny can be best realized by granting them the same rights that other nations possess. An independent Kurdish state would be a victory for democratic values, national self-determination and the rights of women and minorities. Is there a more iconic image of the fight against the Islamic State than that of female Kurdish peshmerga fighters doing battle on the front lines against jihadists who demand the subjugation of women? 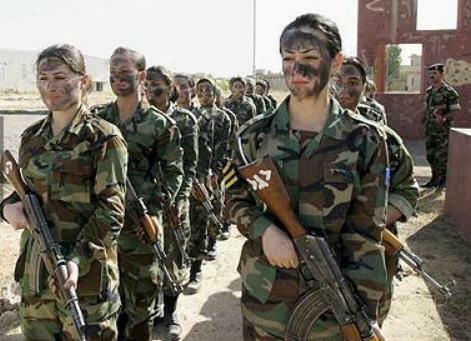 An independent Kurdish state would empower these warriors in a part of the world where women and girls are typically second-class citizens. In addition to its commitment to gender equality, Kurdistan has also shown its commitment to minority rights. Over the past three years, Kurdistan, which is about the size of Maryland, has taken in nearly two million refugees, including Assyrians, Yazidis, Turkmen, Shabaks and Christians fleeing the Islamic State and sectarian violence in other parts of Iraq and in Syria. Even without a formal state, the Kurds have built a society that meets many of the criteria of statehood. They are economically viable, with a well-developed energy industry. They have functioning institutions, including elections for Parliament and a relatively free media. And they’ve proved capable of defending themselves against the Islamic State without attacking others. Kurdistan is already, in values and governance, a democratic nation in waiting. Is it a perfect Jeffersonian democracy? No. Does it have a long way to go? Yes. But in a region where tyranny is the norm, it’s on the right track. We should all pray that Kurds are successful in their bid for independence and that there will be a peaceful solution to this brewing crisis. Israel should certainly give it as much support as it can. And shame on the world for denying this brave, big-hearted people their rightful claim to their own territory and self-determination. 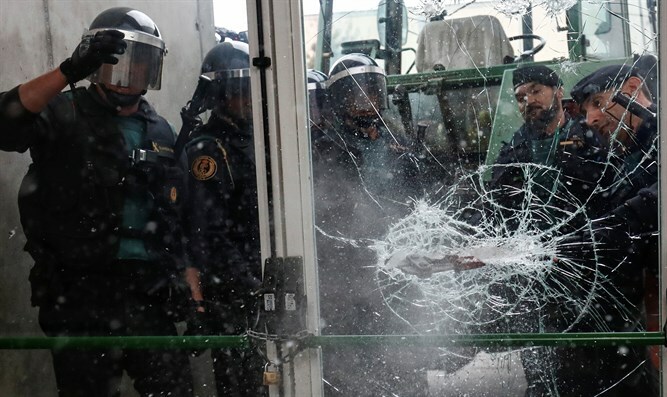 Nearly 500 people were injured Sunday as Spanish security forces attempted to shut down a referendum vote on the future of the northeastern Spanish province of Spain. 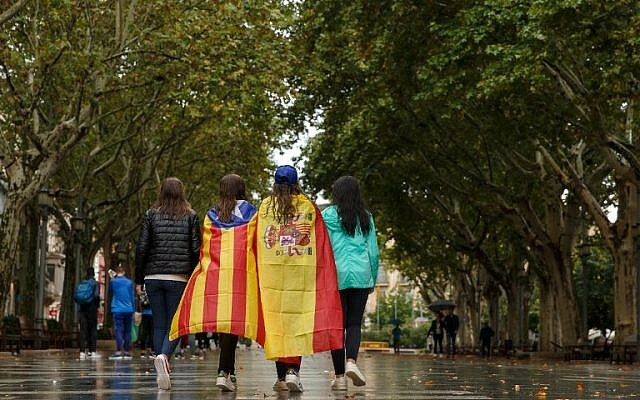 Catalonia, a semi-autonomous province with its own official language, held the controversial vote Sunday on whether to remain a part of the Kingdom of Spain, or to seek independence. Catalan President Carles Puigdemont, who supports a Catalan separation from Spain, said earlier that if the referendum saw a majority of “yes” votes, he would declare an independent Catalonia within 48 hours. While polls show some 60% of locals oppose independence from Spain, a wide majority back the plebiscite. The Spanish government, however, has declared the referendum illegal and ordered security forces to bar voters from entering polling stations. “There has not been a referendum or anything remotely similar,” Spanish Deputy Prime Minister Soraya Sáenz de Santamaría said. In polling places across Catalonia, including the local capital, Barcelona, police clashed with crowds of voters as they attempted to enter voting stations. During the clashes, officers opened fire with rubber bullets, hitting dozens of protesters. According to The Independent, local firefighters formed human shields around voters to protect voters from police. Catalan officials say police managed to shut down 319 voting stations across Catalonia. “What the police are doing is a real scandal, a savagery,” said Catalan spokesperson Jordi Turull. Yet it seems that what is sauce for the goose is not sauce for the gander. Or maybe that statement should be reversed. The very independence that is rejected by the world for their own minorities is enthusiastically advanced for the Palestinians. The Kurds do not seek to replace anyone or to kill them. They simply want their own indigenous territory back in their hands and under their control. But the world rejects their bid. The Catalonians want to run their own affairs outside of Spanish jurisdiction. Here too their bid for self-determination is rejected by the world. But somehow, the Palestinians, who already have independence from Israel, and who run their own affairs, are considered perfectly legitimate when they demand not only independence, but an end to the State of Israel. 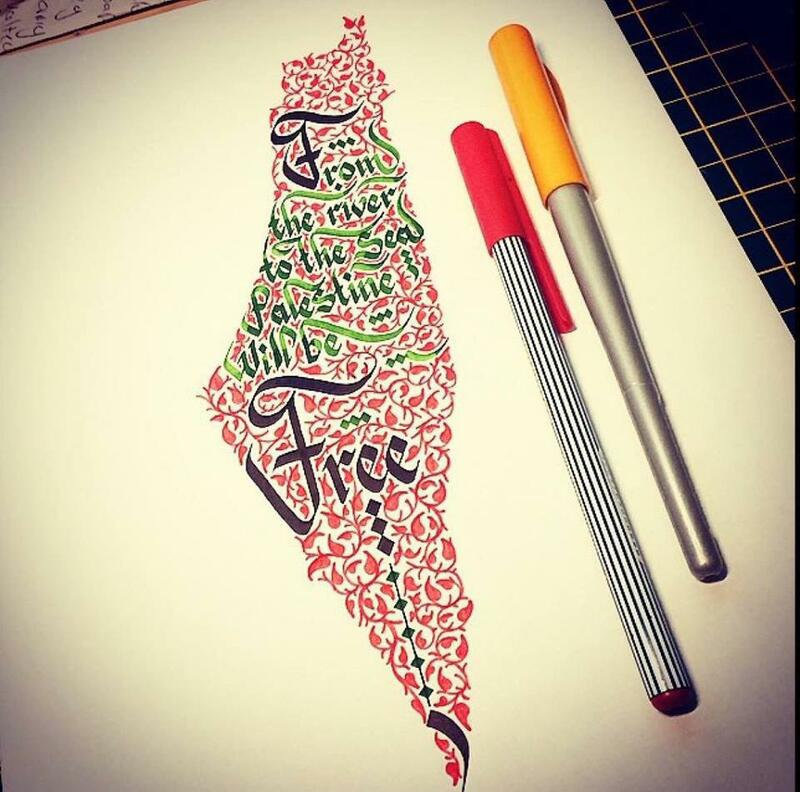 They demand this loudly and clearly and can be heard in demonstrations across the world: “From the river to the sea, Palestine will be free”. This is no less than an Arabic “final solution” for the Jews. In case you haven’t looked at a map lately, the space between the river (Jordan) to the (Mediterranean) Sea is occupied, for want of a better word, by Israel with over 6 million Jews as well as another 2 million Muslims, Christians and other minorities. Israeli Deputy Defense Minister Eli Ben-Dahan (Jewish Home) blasted the Spanish government’s crackdown against a regional referendum in the province of Catalonia Sunday, which left nearly 500 people injured, most of them pro-independence demonstrators. Deputy Minister Ben-Dahan slammed Madrid’s crackdown on the referendum, noting Spain’s decades-long support for Palestinian statehood. “They are there and we are here”. Or is this a solution limited to a particular region? Indeed Dr. Rashi has pointed out the world’s hypocrisy in one short pithy paragraph. “Do as I say, not do as I do” is what the world tells Israel. It’s about time Israel told the world where to get off. HAMAM AL-ALIL, Iraq — The road to Mosul is littered with the detritus from almost three years of war: burned M1117 armored vehicles, sandbagged berms and trenches from defensive positions once manned against Islamic State fighters, houses pancaked by airstrikes. The long supply line of the Iraqi army stretches through villages, with bulldozers, camouflaged trucks and temporary base camps. Particularly noticeable are the frequent checkpoints manned by young armed men. But the fighters often aren’t from the Iraqi army or the Federal Police, but are members of various Iran-supported Shiite militias in the Hashd al-Shaabi, or Popular Mobilization Units. While taking part in the U.S.-backed assault on the Islamic State group’s last major stronghold in Iraq, many of these units fly flags celebrating Shiite religious figures such as the Imam Hussein, and some have posters of Iran’s supreme leader, Ayatollah Ali Khamenei. Life in those areas under control of the Shiite militias provides a window into Iran’s influence and the sectarian tensions that still dog Iraq as the campaign for Mosul enters its seventh grinding month. A tour of these areas shows that Shiite militias and Iran have been empowered in the fight and that Iraq remains a state even more divided along religious and ethnic lines. The battle for Mosul, once a city of more than 2 million residents, began in mid-October. In a lightning assault in 2014, the Islamic State, a radical Sunni Muslim group, took the city, expelled Christians and massacred Shiite and other minorities, and dynamited shrines and archaeological sites as part of its Salafi policy. When the Iraqi army began its campaign last fall, Mosul’s population had been reduced to around 1 million people. Complicating the battle has been the presence of thousands of fighters allied with the Popular Mobilization Units. Composed of numerous militias that answered a 2014 fatwa by Iraqi Grand Ayatollah Ali al-Sistani to fight the Islamic State, the units have many leaders with shadowy pro-Iranian pasts. Qais Khazali was a follower of Shiite cleric Muqtada al-Sadr, who attacked U.S. troops in Karbala in 2007 and now runs the Asa’ib Ahl al-Haq militia. Hadi al-Amiri, leader of the Badr Organization, fought alongside Iran’s Revolutionary Guard Corps during the Iran-Iraq War of the 1980s. Abu Mahdi al-Muhandis, leader of the Kata’ib Hezbollah militia, also fought with the Iranians in the 1980s. In December, the PMU was incorporated as an official paramilitary force of the Iraqi government. But fears remain that its role in northern Iraq will inflame tensions with Sunni Arabs and the Kurdish population. In an October speech, Mr. Khazali called the battle for Mosul the “revenge for the killing of Hussein.” He was referring to a historic killing that Shiites blame on Sunnis and tying it to the modern sectarian war with the Islamic State. “If they exact widespread revenge against the Sunnis and expel them, this might create a conducive environment for ISIS to come back,” Kawa Hassan, director of the Middle East and North Africa Program at the Brussels-based EastWest Institute, told a European Parliament hearing in November. The worst fears of mass revenge killings and expulsions have not been realized in or around Mosul to date. Instead, Shiite militias are more quietly extending their presence and visible control in a new part of the country, as a tour of the region repeatedly demonstrates. Driving out of the Kurdish autonomous region from Irbil, the closest major city to Mosul, one leaves the Kurdish flags behind and immediately enters the uncertain terrain of militias. In the Christian town of Hamdaniyeh, the Nineveh Plains Protection Units, a Christian militia paid by and affiliated with the PMU, guards the entrance and exit. Its members are relaxed and friendly. Most of them live in the Kurdish region, where they fled the Islamic State and have only recently returned. After Hamdaniyeh, the road crosses hillocks and fields with long-dilapidated chicken coops and the militias are from a Shabak unit. The Shabak are a local minority, some of whom are Shiite and recently joined the PMU’s Badr Organization. For some Shabak and Iraqi Christians, the PMU are liberators. Last year, the PMU released a video showing the church bells of Mosul ringing again, sending the message that they would liberate the city from the Islamic State and make it safe for Christians. Militia members hand out “Imam Hussein” flags to children in local hamlets. But in some Sunni Arab villages, there is obvious fear of the militia members who wander the streets, rifles over their shoulders, peering into mud-caked compounds. Leaving the Shabak behind, the road skirts the ruins of the ancient Assyrian city of Nimrud, which Islamic State fighters blew up in 2015. A floating pontoon bridge over the Tigris is all that connects the western and eastern sides today. Airstrikes have demolished the old bridges. The pontoon bridge is in such bad shape that it washed out during flooding in April and took days to repair. Civilians trod this road, and Iraqi nongovernmental organizations bring food to some of the estimated 160,000 civilians who have fled the battle of Mosul for refugee camps. One car flying a white flag drove by with a corpse in the back, transported for burial across the river. But each civilian vehicle, often packed with people, must pass a strict checkpoint on both sides. The checkpoint stops are tense. Soldiers and militia members ask where the Arab passengers are from and check the cargo. They are looking for Islamic State fighters. A Shiite flag with the sketch of a sword dripping blood flutters on the bridge. As the road from the Tigris nears Mosul, it merges with a large highway that runs to Baghdad and the presence of the militias appears to thin out. The Iraqi army and Federal Police take the lead at checkpoints. Many vehicles of the Iraqi armed forces display Shiite flags, but the militias are not playing an official role in the battle for the city — only in rural areas around it. A massive new United Nations camp at Hamam al-Alil is largely unoccupied. A giant sign by the PMU indicates that Shiite militias control access to the camp and claim they are “confirming the [safety]” of the camps and will provide aid equally. The Shiite militias know that they are viewed by many with suspicion and are accused of discrimination and sectarianism. When a reporter tries to enter an older part of the Hamam al-Alil camp, militia members wearing black balaclavas and masks with skulls on them block the way. Civilians in these neighborhoods have transitioned from Islamic State rule to another form of religious rule, with militarized checkpoints controlling their movements. A young man who fled one of these villages when the Shiite arrived and now lives in a reformatory in Irbil said the Shiite militias don’t belong in his Sunni village or northern Iraq. In many ways, civilian life has an air of normalcy — even in Mosul with the sound of gunfire in the background. Women in black abayas wait for food to be distributed. Men stand around smoking, observing. Children play, some with visible burns from the war. Most of these people have lived with years of war. Since the 1980s and particularly since 2003, they have witnessed rounds of violence. In January 2008, for instance, the city was hit by more than a dozen attacks a day, including improvised explosive devices, car bombs and shootings. By contrast, life under the Islamic State was relatively peaceful for many pious Sunnis, many of whom greeted the takeover warmly in 2014. “This too shall pass,” seemed to be the overall feeling in and around Mosul. Saddam came and went, then the Americans, the jihadis, the Americans, the Islamic State and now the Shiite militias. If Shiite militias continue to hoist flags over Sunni mosques in the city and the militias continue to man dozens of checkpoints in the rural countryside, then it is likely only a matter of time before insurgent attacks begin again. I made my first visit to Turkey 13 years ago. With the 2001 attacks on the United States still a vivid memory, Turkey struck me as a hopeful place. The people were friendly. The food was good. Istanbul was vibrant and cosmopolitan. This was not a Muslim country but rather a Muslim-majority country, a distinction made repeatedly and with pride. Turks, I was told, understood the importance of separating mosque and state. Those who campaigned for a “no” vote had limited access to media and in some instances were prevented from holding rallies. The pro-Kurdish Peoples’ Democratic Party complained of unstamped ballots affecting 3 million voters — more than the margin of Erdogan’s victory. On the grounds of the Turkish Embassy facing Massachusetts Avenue in Washington is a statue of Mustafa Kamal Ataturk, father of the Republic of Turkey, the nation-state he built from the rubble of the defeated Ottoman Empire and Islamic caliphate. He is wearing a three-piece suit that would look stylish today, although he is steely-eyed in a way peculiar to early 20th century revolutionaries. He appears to be gazing into the future — a future in which Turkey would be modern, prosperous, secular and democratic. If truth in advertising applied to governments, that statue would now be removed. In a referendum on Sunday, Turkish voters were asked to give President Recep Tayyip Erdogan sweeping new powers. To no one’s great surprise, it was announced that they did, albeit by a narrow margin of 51.2% approving to 48.8% opposing, according to the state-run news agency. People in rural areas mostly voted yes, people in the cities — including Istanbul where Erdogan was once mayor — mostly voted no. But a win is a win and Erdogan has won. A NATO member, Turkey appeared to be the one sturdy bridge between the Middle East and Europe. It maintained cordial relations with Israel, too. While no Jeffersonian democracy, Turks had been going to the polls on a fairly regular basis for decades. Surely democratic habits were being acquired and democratic institutions were being built. A persuasive argument could be made that this was the direction history was taking throughout the Middle East and perhaps the world. Sunday’s referendum contradicts that thesis. For a decade, Erdogan has been slowly concentrating power in his own hands. After a failed coup last summer — it’s unclear who launched it or why — he went full throttle, firing or arresting more than 140,000 military officers, academics, judges and civil servants, shutting more than 150 media outlets, and jailing journalists who dared criticize him. The new referendum will significantly diminish whatever checks and balances the legislature and judiciary have left. And the rules on term limits will be adjusted so that the 63-year-old Erdogan can remain in the new 1,150-room presidential palace until 2029 or longer. In democratic societies, presidents do not serve for so many years. In the Ottoman Empire, sultans occasionally did. Can we be confident that the announced results of the referendum are accurate? Those who campaigned for a “no” vote had limited access to media and in some instances were prevented from holding rallies. The pro-Kurdish Peoples’ Democratic Party complained of unstamped ballots affecting 3 million voters — more than the margin of Erdogan’s victory. In Cermik, a town in northeastern Turkey, two members of the opposition CHP party were reportedly killed and two ballot observers were wounded as they were trying to prevent “ballot stuffing.” On Monday, European election monitors said the vote “fell short” of international standards. “The crusader mentality in the West and its servants at home have attacked us,” he told a crowd at Ankara’s airport. That is not the kind of language you expect to hear from the leader of a secular country. It is the kind of language you expect to hear from an Islamist demagogue. Erdogan claims he will use the additional powers he is being granted to solve Turkey’s not insignificant problems, including political and economic instability, the strain caused by the refugees pouring in from Syria, and unrest among Turkey’s Kurdish minority, estimated at up to 20% of the country’s 80 million people. What I think we can more realistically expect is for Turkey to become less free, less democratic, and less secular. Already we’ve seen Erdogan closing churches and detaining Christian clergymen. He has implied that only Muslims, not Christians, should be helped to rebuild their ancient communities in and around Mosul in Iraq, where he has sent Turkish troops, uninvited by the Iraqi government. He appears to expect Turks living in Europe not to assimilate or even integrate but to remain loyal to Turkey and, of course, to him. In the weeks leading up to the referendum, he dispatched envoys to campaign in the large Turkish communities of the Netherlands and Germany. When local officials turned them away he leveled accusations of Islamophobia and even Nazism. “Those who treat me, my ministers, my deputies with disrespect will pay the price for their actions,” he threatened. That is not the way leaders of NATO nations generally address one another. Many Turks regard the referendum as illegitimate. It’s possible that Erdogan will feel the need to make peace with them. On the other hand, he may feel the need to make them submit. In other words, he sees liberal democracy not as the best way to organize a government but only as a means to an end. If that’s correct, April 2017 marks the failure of Turkey’s democratic experiment. An Islamist, neo-Ottoman and neo-imperialist experiment began instead. It should surprise no one if a statue of Erdogan replaces that of Kemal Ataturk on Massachusetts Avenue. Turkish military have targeted US-backed Kurdish YPG militia with artillery fire south of the Syrian border town of Jarablus on Thursday, Anadolu state agency reported, citing a security source. The units allegedly refused to withdraw from the area despite warnings. The group of YPG fighters were attacked with howitzers at about 6pm local time after they were spotted by Turkish intelligence advancing to Jarablus from the north of Manbij, the report said. Earlier, Washington assured Ankara that the US-backed Kurdish formations have been pulling out forces from the area to the east of the Euphrates River as demanded by Turkey. “Kerry [US State Secretary John Kerry] emphasized that the PYD/YPG forces have been withdrawing to the east of the Euphrates,” a Turkish security source was quoted by Hürriyet Daily News as saying following a telephone conversation between the US top diplomat and Turkey’s foreign minister Mevlut Cavusoglu on Thursday morning. — CNN Türk ENG (@CNNTURK_ENG) 25 августа 2016 г. While on a visit to Ankara on August 24, US Vice President Joe Biden pledged to withdraw the support of American forces to Kurdish fighters battling terrorists in Syria if they did not comply with Turkey’s request to remain east of the river. “They cannot, will not and under no circumstances get American support if they do not keep that commitment. Period,” Biden said at a joint news conference with Turkish PM Binali Yildirim. 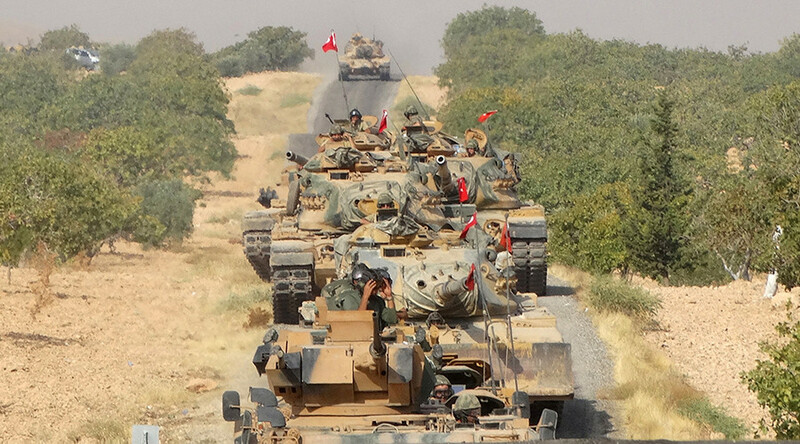 Turkey has been conducting Operation Euphrates Shield since Wednesday after its troops entered the borderline territory in the north of Syria with the focus on retaking Jarablus from the Islamic State (IS, ISIS/ISIL) terrorists, which has been occupying it since July 2013. Justifying the incursion, which had not been authorized by the Syrian government, Turkey’s President Recep Tayyip Erdogan said it is aimed at stopping frequent cross-border attacks and repelling “terror groups which constantly threaten our country like Daesh [Arabic derogatory name for IS] and the PYD [the Democratic Union Party of Syria]”. The shelling follows a statement by YPG command saying that Kurdish militia under its control had left Manbij and returned to its bases, turning over the control over the city to the Manbij Military Council, according to Al-Masdar News. On Wednesday, the YPG denounced the Turkish military offensive in Syria as “a hostile intervention,” refusing to cave in to pressure coming from Turkey. “We won’t listen to the demands of Turkey or powers outside of Turkey. Turkey cannot impose its own agenda, its own interests on us. Our forces are there. We will not withdraw from west of the Euphrates,” YPG spokesman Redur Xelil said, as cited by Rudaw. “Its main goal, more than ISIS, is the Kurds,” he pointed out. At the moment, at least 20 Turkish tanks are taking part in operation inside Syria with more armored vehicles are expected to join the effort in the coming days as the Syrian rebels supported by Turkish forces are “cleansing” the city from jihadists. The former IS stronghold of Manbij was freed by Kurdish-led SDF from jihadists just two weeks ago after months of intense fighting. The Kurdish People’s Protection Units (YPG) are the armed wing of the Kurdish Democratic Union Party (PYD), close to the Kurdistan Workers’ Party, which Ankara considers a terrorist organization. Turkey has been leading a military campaign against PKK insurgency in the country’s south-eastern Kurdish-populated regions, which has been criticized by rights groups for its brutality. Numerous reports have also suggested that Ankara bombed Kurdish targets inside Syria while allegedly sparing Islamist militants that the YPG have been in bitter battle with. The Obama-Trudeau policy of opening doors widely to Muslim refugees, while allowing hardly a crack to open for the Christian and Yazidi victims of jihadi-inspired genocide, is risky, to be sure. It is also immoral. The Obama administration is rapidly accelerating its admission and resettlement of Syrian refugees. The administration is well on its way to meeting its target of taking 10,000 Syrians into the country by the end of the current fiscal year on September 30th. In the first five months of 2016, 2,099 Syrian refugees have been admitted, compared with 2,192 for the whole of 2015, according to a report by CNS News. However, only a very tiny percentage are Christians, a beleaguered minority who are facing genocide in their home country. The Obama administration is immorally discriminating against Christian Syrian refugees. “Out of the 2,099 Syrian refugees admitted so far this year, six (0.28 percent) are Christians,” CNS reported. Ten (0.3 percent) are Yazidis. Over 99 percent are Muslims. And the trend line is worsening as the year progresses. Last month, only two Christians (0.19 percent) were admitted compared to 1,035 Muslims. Christians are estimated to have made up approximately ten percent of the total Syrian population at the outset of the conflict in Syria, according to the CIA Factbook. As Christians have come under attack by both the regime and jihadist groups, including ISIS, the Christian population in Syria has declined. Yet, according to data compiled by the U.S. State Department Refugee Processing Center, only 47 Syrian Christians have been admitted to the United States in all that time – slightly over 1 percent of the total number of Syrian refugees admitted. The current rate of Christian admissions is running far below even that miniscule level. After receiving significant pressure, the Obama administration finally yielded to the obvious. Secretary of State John Kerry declared last March that the Islamic State has been committing genocide against Christians, Yazidis and other minorities in the Middle East. Note that while Kerry included Shiite Muslims on his list of ISIS’s genocide victims, Sunni Muslims were not included. Nor should they be, considering the fact that ISIS jihadists are themselves Sunni Muslims. Al Qaeda jihadists are Sunni Muslims. The ideology of Wahhabism fueling the jihadists’ reign of terror, exported by Saudi Arabia, is of Sunni Muslim origin. Therefore, one would think that Christians and other targeted minorities would receive preference for refugee status in the United States, not Sunni Muslims. Think again. Since the beginning of the Syrian conflict, approximately 96% of the Syrian refugees admitted to the United States by the Obama administration have been Sunni Muslims. It is President Obama’s Syrian refugee policy that is both “shameful” and “not American.” It has amounted to what is in effect a “religious test,” vastly favoring the one group of migrants from Syria who needs refugee protection the least– Sunni Muslims. Moreover, some of these Sunni Muslims are bringing their Wahhabi jihadist ideology with them. Whatever self-righteous statements Obama, Pope Francis and United Nations Secretary General Ban Ki-moon make regarding the moral responsibility of Western nations to admit many more refugees, there is no moral imperative to commit cultural suicide. That is perhaps why the Dali Lama warned a German newspaper this week that “too many” refugees from the Middle East and North Africa are heading into Europe. He knows of the problems Buddhists have been having with their own Muslim populations. He is also aware of the history of many Buddhist countries that were converted to Islam, including Afghanistan where invading Muslims overran the native Buddhist and Hindu populations. We don’t even have to look as far as Europe to see what can happen to a culture under the increasing influence of Islamization. For example, the Muslim population in Canada is growing faster than that of any other religion. A majority of Muslims already living in Canada have favored being able to live under some form of sharia law, and a number of local governments have made accommodations in that direction. Now enters the Barack Obama of Canada, Justin Trudeau, as Canada’s new prime minister. His Liberal government is hoping to admit 50,000 Syrian refugees by the end of 2016. 25,000 Syrian refugees have been admitted in just four months. Trudeau also appointed Member of Parliament and senior adviser Omar Alghabra, a sharia law supporter who has denied that Hamas is a terrorist group, as Parliamentary Secretary for Foreign Affairs. Alghabra was born in Saudi Arabia, but emigrated to Canada from Syria several decades ago. While Trudeau’s predecessor Stephen Harper had prioritized the admission of persecuted Christians, Yazidis and Kurds, Trudeau said that he will “absolutely not” continue that practice. He and Obama are in sync that saving persecuted Christians from an ongoing genocide is less important than reaching out to Muslim refugees as proof of the country’s diversity and inclusiveness. When the two leaders met at the White House last March, they were effusive in mutual admiration for each other’s compassion towards the refugees. However, they are oblivious to the enhanced security risk to both countries they have created. “O Allah! Strengthen the mujahideen [jihad fighters in the path of Allah] everywhere, make their hearts firm and strong, let them hit their targets, give them victory over their enemies. “O Allah! Destroy the oppressors.